Want to get outside to do something but don’t have a lot of time? What about checking out some of Bentonville’s incredible multi-use trails? 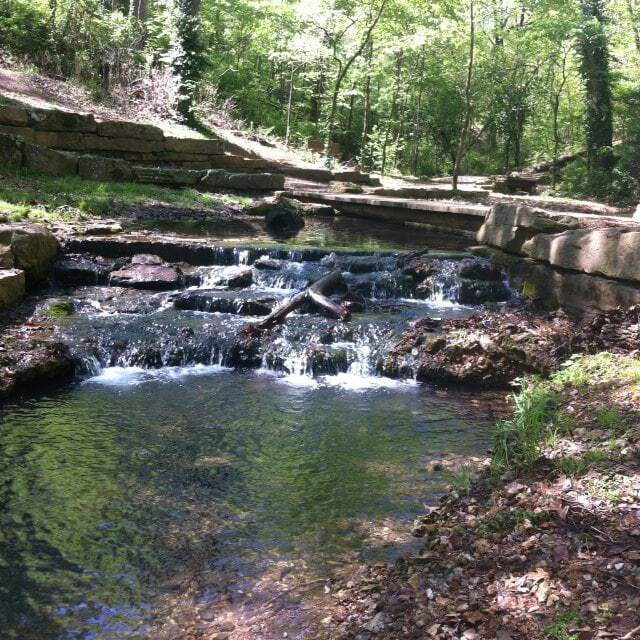 Residents and also visitors to Bentonville can enjoy our numerous trails throughout the city. Most of these trails are short and offer nearby trail parking so you can easily take a leisurely walk and still have time to participate in other activities. Most are multi-use trails and are made for walking and cycling. Please note: Walkers need to be aware of cyclists and cyclists need to be aware of walkers. 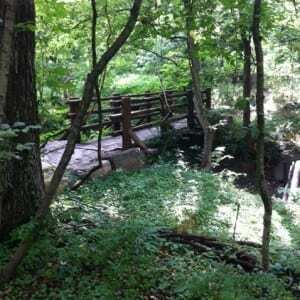 Crystal Bridges Trails and Grounds – Crystal Bridges 120-acre property has numerous, beautiful shaded multi-use trails. Be immersed in natural beauty, and be amazed by stunning sculpture gardens along the trail, an overlook to Crystal Bridges and a trail that takes you to Crystal Springs, the spring for which the museum derived its name. Traversing through natural wooded areas is the North Bentonville Trail. The trailhead is located on N Walton Blvd and is composed of a 10-foot-wide concrete linear trail and a jogging path. Parking and restrooms are available at the trailhead. A beautiful, peaceful nature trail that includes a natural spring and wooden bridges. This exceptional mountain bike trail is 5.18 miles long and designed especially for mountain bike enthusiasts. Slaughter Pen is an unusual and challenging single-track trail. Special features of Slaughter Pen include drops, jumps and log rides. There is also a free ride area that includes a wall ride, tabletop jumps and bermed turns. There is a trail for everyone from beginners to advanced bikers. 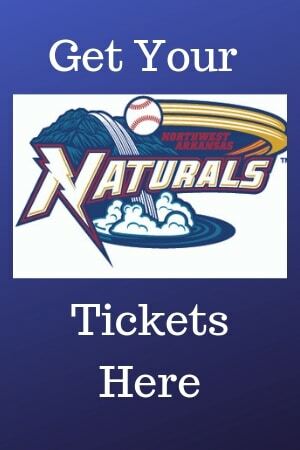 Parking and restrooms are available at 2400 N Walton Blvd, which is just south of Bark Park. Razorback Greenway is a 36-mile greenway that links the six major municipalities of northwest Arkansas, the University of Arkansas, hospitals, commercial centers, and the headquarters of major employers. You can access it from many trails. Bella Vista Lake Trail (1.75 miles) – Parking on the east and west side of the lake. Downtown Trail (1.1 miles) – Parking at 405 S. Main Street. Memorial Park Fitness Trail (1 mile) – Located at 401 NE J St. Trail. Town Branch Trail (.77 mile) – Parking on Central Ave. across from County Administration Building at 215 E. Central (Public Lot). Wishing Springs Trail (1.6 miles) – Parking located on Wishing Springs Rd just off Benton County 40. Interested in riding some of the trails, but don’t have a bike? Be sure to contact Phat Tire shop and rent one. For more detailed trail information or to download bike path Maps click here.